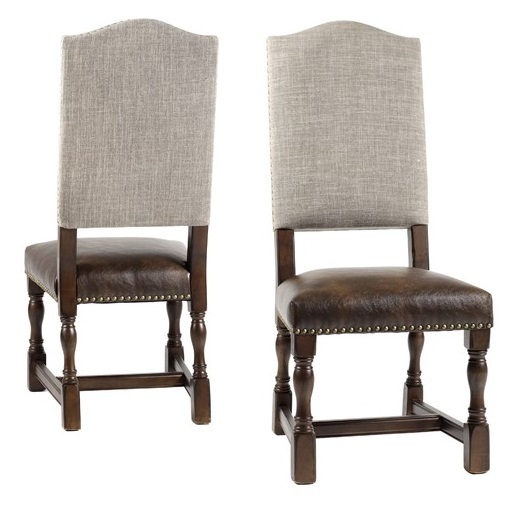 The Jacqueline Side Chair features a high quality gray linen fabric. The scale of this chair ideal to fit around your dining table with a commanding height of 45". Solid wood base hand finished. Vegan leather for long lasting durability with high quality linen fabric and nailhead detailing.